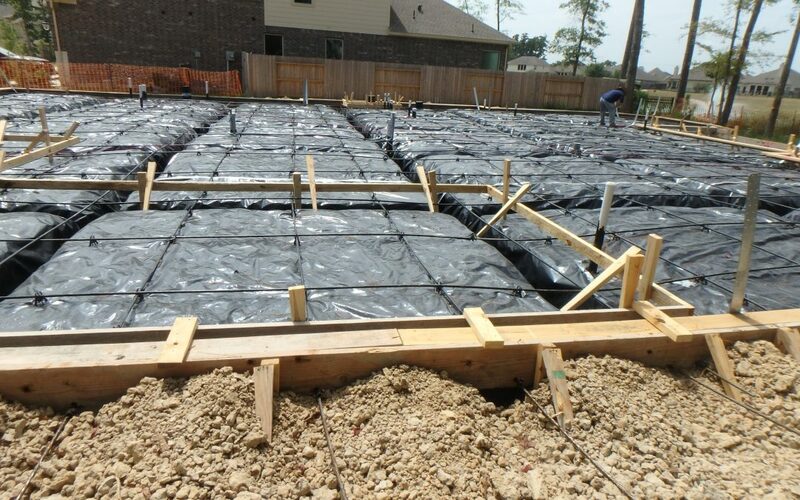 Foundation Information | Professional Engineering Inspections, Inc.
As the summer months heat up, foundation care becomes vitally important in the Houston area. This page is assembled to help you with maintenance of your foundation. Inspection – Prior to hiring a foundation repair contractor to implement costly repairs, you should have the foundation evaluated by an independent contractor to determine if repairs are actually needed. We can assist you by providing an opinion as to whether there is a need for repair and provide recommendations for maintenance to improve or maintain performance. Foundation Care – Foundation care is the best method for maintaining the performance of your foundation. While site preparation for construction can affect the performance of a foundation in newer construction, owner care is also very important. This section will help you to understand basic recommendations for maintaining your foundation in its best condition. Root Barriers – In areas where expansive soil is known to exist and where there are large trees within their mature height from the foundation, root barriers have proven to be effective at limiting a trees seasonal effect on the performance of a building’s foundation. This page helps to understand the basic configuration of root barrier systems. Watering – Watering is a critical part of maintaining your foundation’s performance in expansive soils often found in the Houston area during our hot summer months. Drainage – Drainage can impact the performance of your foundation and should be maintained to prevent water from standing at the foundation. Repairs – There are several repair methods available to you.